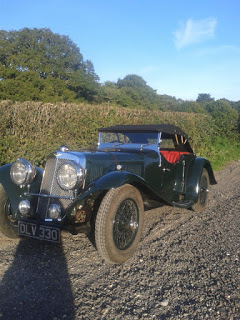 A very original low mileage family Derby Bentley under assessment for full restoration or preservation. New Fiennes Restoration Phantom cylinder block, pre build preparation. Various Engine items being prepared. A Pre War R-R / Bentley steering box having a new worm and nut assembly. Wolseley Hornet Special is now making progress quite rapidly as we aim to complete as soon as possible, more posts to follow shortly. The trim and body items are left until the very last, the bulkhead has been removed for access as the last of the wiring behind the dash and the clutch linkage is finished.